Put those words in a generic font under a picture of a landscape and hang them on a wall, and you might pass them by. Hear them from a woman who shoots straight about a tough past without a lot of perks, and you, too, might find yourself listening with the ears of the newly converted. Marla Davis doesn’t have time to deliver an autobiography, not that her humility would allow it even if she did. This Dayton, Ohio-native is in the final 48 hours of a major restaurant renovation with a deadline that’s being challenged by a catastrophe related to floor tiles, so she hits the high spots: Academic success in spite of a tough home life. A restaurant job after graduation where a manager named Karen Cummings saw beyond the rough edges and encouraged Marla not to settle. Then marriage, family and becoming a Chick-fil-A Operator in 1996. Two decades later, it’s Davis’ turn to lead and lift up her own team. 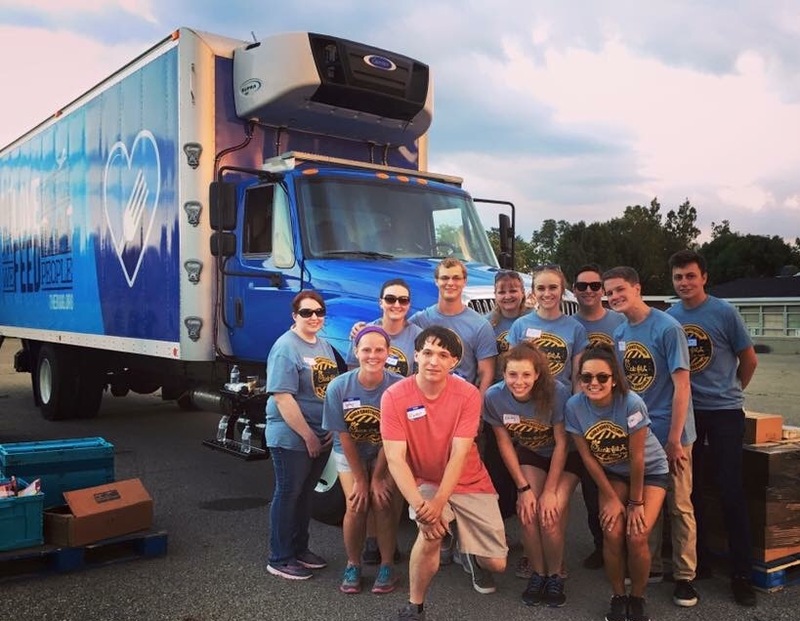 A team of 10 partnered with a local mobile food pantry to deliver food to vulnerable community members. 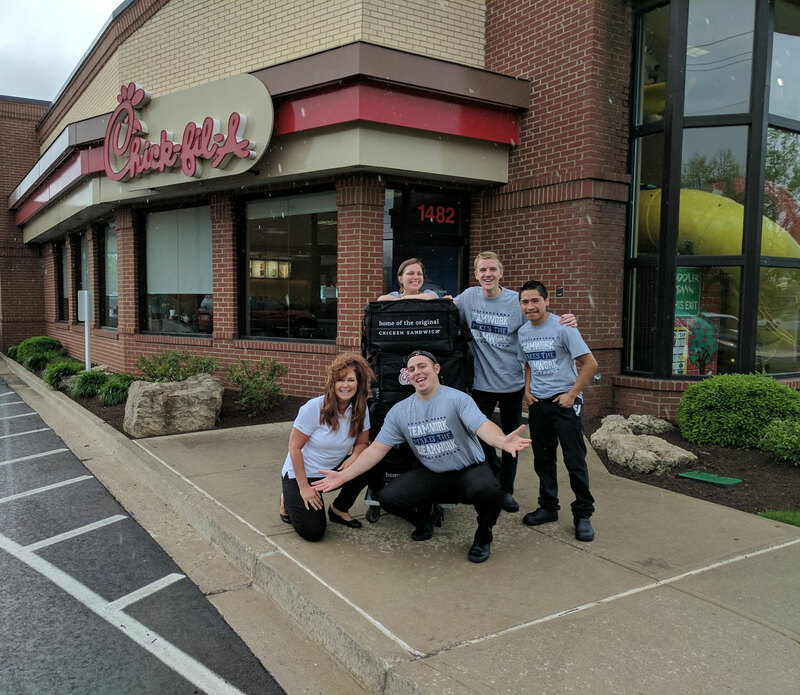 When the Washington Township Chick-fil-A restaurant she’s operated since 2004 closed for remodeling last summer, Davis was unable to temporarily place team members at neighboring Chick-fil-A restaurants, as they were all fully staffed with extra summer help. “I didn’t want my team to have any dread about how the remodel would impact their income, so whether they were part-time or full-time, I committed to paying them their average weekly wages,” Davis explained. She kept that commitment, maintaining 100-percent of her payroll during the remodel. With her staff having some free time on their hands, Marla wanted to find a way to use this time productively and unleash the strength and passion of her amazing colleagues. Recognizing that the success of the restaurant comes from the community’s support, Marla’s management team pitched the staff on the idea of filling up their recently liberated calendars with community service projects. It was a softball, and the team stepped up and knocked it out of the park. No project idea was ignored. Restaurant guests weighed in, even readers in the local newspaper. Team members evaluated all the suggestions, picked their favorite projects, and headed out with helping hands, gracious hearts and hot meals to serve the Dayton community which resulted in $1,000 worth of daily food donations and thousands of hours of labor benefiting dozens of local causes and thousands of people. 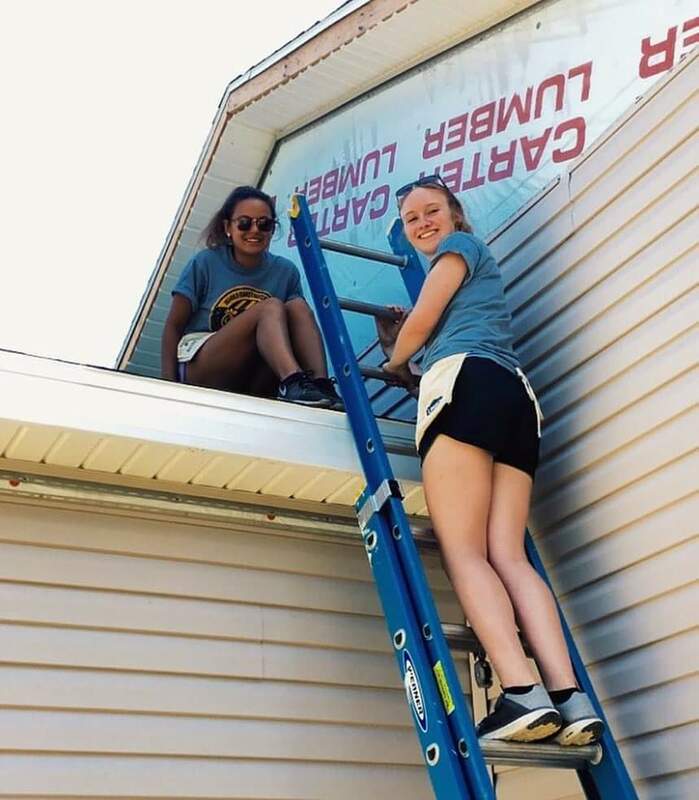 The team did all kinds of projects: serving at food banks, homeless shelters, schools, an equine therapy institute for children with disabilities, family shelters and hosting a community center movie night, to name a few. Team members work on an all-female home build with Habitat for Humanity. Other assignments offered friendship. After undergoing training, Chick-fil-A team members were admitted to the psychiatric wards of the Veterans Affairs hospital where they shared a meal with former service members. And some projects required travel. Following the flooding in Baton Rouge, La. In 2016, Cameron Busdiecker was part of a group traveled south to help families there sift through the washed-out remnants of their lives. “You see these disasters on the news, but when you step into that environment, it becomes personal,” Cameron explained. Several team members are already planning a follow-up trip. On September 7, Davis’ team of servant leaders welcomed the Dayton community back through the gleaming entrance of their updated restaurant. Washington Township Chick-fil-A Operator Marla Davis and team members ready to open the doors of the newly remodeled restaurant. While it’s business as usual these days, Ringwald, Busdiecker and the rest of the team have seen and lived something that will stay with them. They changed lives, and had their lives changed in turn, and they don’t plan to stop now. The team members plan to continue their work outside the restaurant, and Davis is all for it.